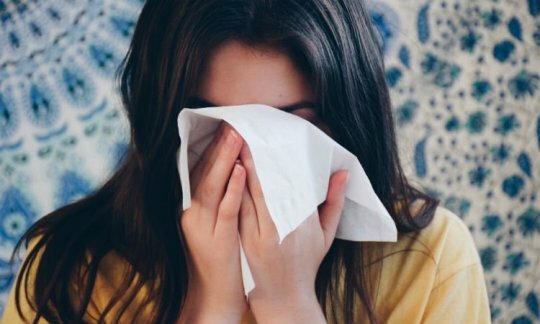 In the midst of an especially tough flu season, here's more bad news: Researchers say it may be possible to spread the virus simply by breathing. Until now, it was thought that people picked up a flu virus when they touched contaminated surfaces or inhaled droplets in the air ejected by an infected person's coughs or sneezes. But the new study finds coughs and sneezes may not be necessary to saturate the air with flu virus. In the study, researchers analysed air around the exhaled breath of 142 people with the flu. "We found that flu cases contaminated the air around them with infectious virus just by breathing, without coughing or sneezing," said study author Dr Donald Milton, a professor of environmental health at the University of Maryland. In fact, nearly half (48 per cent) of the airborne samples captured in the air around flu patients who were just breathing - not coughing or sneezing - contained detectable influenza virus, the researchers noted. What's more, when patients did sneeze, that didn't seem to add much to the viral count in the samples, Milton's group added. Of course certain steps - "keeping surfaces clean, washing our hands all the time, and avoiding people who are coughing," can still help lower your odds of catching influenza, said Sheryl Ehrman, dean of the College of Engineering at San Jose State University, in California. But if an infected person's breathing spreads flu virus, even those precautions do "not provide complete protection from getting the flu," she added. That means that if you are unlucky enough to get the flu, "staying home and out of public spaces could make a difference," Ehrman said. The researchers believe their findings could help improve mathematical models of the risk of airborne flu transmission and could also be used to develop better public health flu prevention measures. The United Kingdom and United States is in the middle of a particularly nasty flu season, with nearly all states reporting high levels of severe flu, and hospitals swamped with cases. Experts blame the severity of this year's flu season on a particularly virulent strain of flu and prolonged periods of very cold weather.